Experience both sides of Sydney Harbour. Starting with collection from your hotel, drive through ‘The Rocks’ for an insight to Sydney’s penal past. Your host escorts you to the Sydney Opera House for your prearranged group tour. Experience the cultural and architectural power of this iconic building. Back in your private Mercedes van we cruise the stylish terrace-house villages of Woollahra and Paddington – renowned for art galleries and specialty shops. 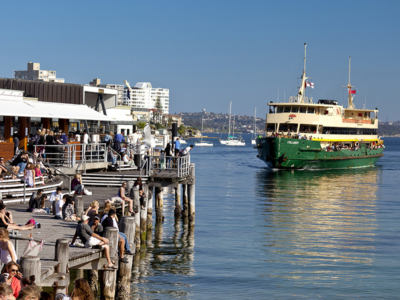 neighbourhoods of exclusive Rose Bay and Double Bay. Continue across the Harbour Bridge for best of the north shore. Enjoy a local café with tasty Harbour views. The vistas continue at Middle Head and Balmoral. Sydney’s other famous beach is Manly. The spiritual home for Australian surfers. There’s also time to take in one last Harbour viewpoint: North Head – incredible. Your ‘Essentially Sydney’ day ends with a Manly Ferry ride back to Circular Quay. The perfect finale to a day of Sydney highlights. 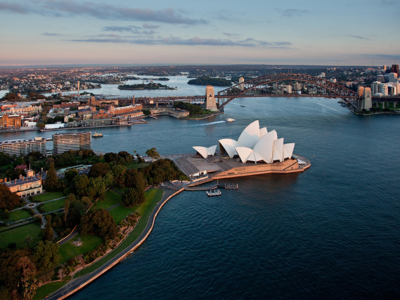 You’ll feel welcome in ‘our house’, the affectionate moniker Sydneysiders have for their Sydney Opera House. In the fifties, it was a tram depot. Now it’s one of the busiest theatrical spaces on the planet. And definitely the most spectacular. First impressions are everlasting of Sydney’s iconic beach. For some it’s the size. 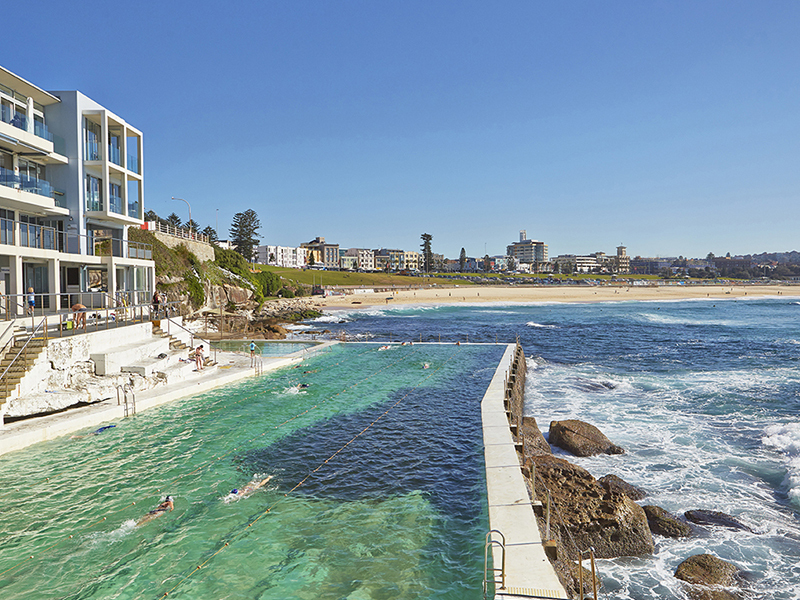 Others are entranced by the history, and numbers of people either surfing, swimming off the beach, or in Icebergs Pool. And then of course there’s the Coastal Walk. Bondi deserves iconic status. Imagine a seven-nautical mile journey across one of the world’s finest harbours. All day you have flirted with Sydney Harbour, Bondi and Manly Beaches. Now, enjoy our beautiful City from sea-level. Unforgettable!